1. Want to save money on your heating bill this winter? 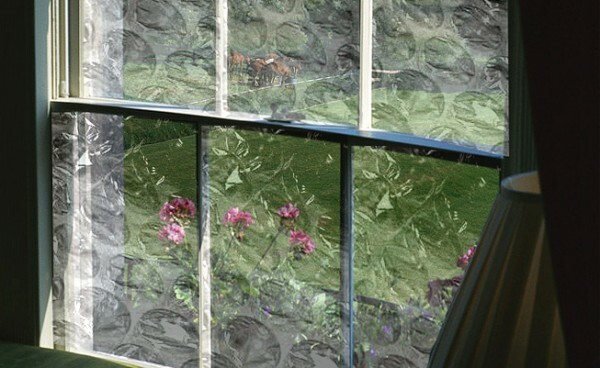 Try using bubble wrap to insulate your windows. This is really quick and simple to do: just trim the bubble wrap to size and fit it with the bubble side facing the window. It will stick naturally if the window is damp but can be secured with tape. Also prevents the neighbours spying on you. 2. 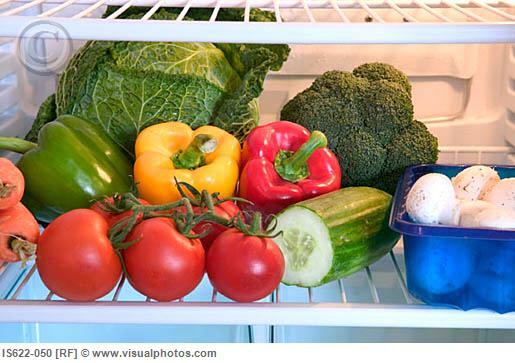 Line your crisper draw with bubble wrap to protect your fruit and vegetables from getting bruised. This can also help keep your fridge clean as the bubble wrap can easily be replaced when it gets dirty. 3. 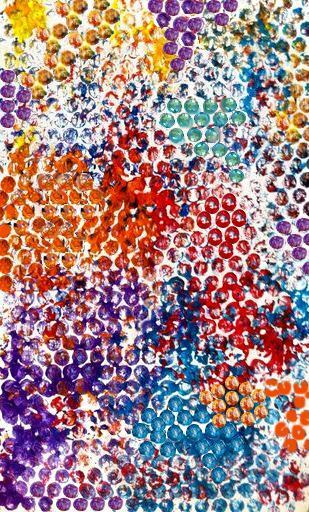 Bubble wrap paintings are really fun and simple to make. Simply paint the bubble wrap then press the paper you want to paint on top. 4. 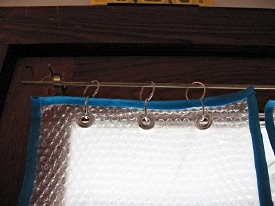 Follow this guide to make bubble wrap curtains! These can be really useful as shower curtains or dividers between rooms. Just make sure your guests don’t pop them! 5. If you don’t have a greenhouse, bubble wrap can be used to insulate plants in the winter. 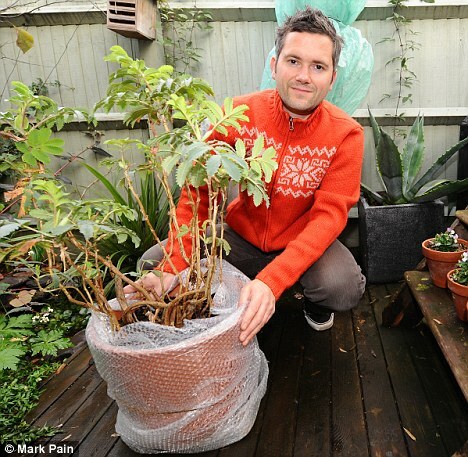 Wrap the plant pots in bubble wrap to prevent frost from killing the roots or cracking the pot. Bubble wrap is available from our packaging store for all of these uses and more. We offer discounts for bulk purchases, so what are you waiting for?